TRISWIM Chlorine/Salt Water Out Body Wash 8 oz contains Aloe Vera, which moisturizes and helps protect you from environmental elements. The invigorating Japanese Yuzu citrus scent is appealing to men, women, and children and also contains Vitamin E and ProVitamin B5. TRISWIM Body Wash is specifically formulated to remove Chlorine, Bromine, salt water, and chemical odor from the skin. Moisturizes with Aloe Vera, Vitamin E, and ProVitamin B5. Heals and sooths dry skin. Chamomile and Watercress assist in healing “Pool Rash,” and Eczema. 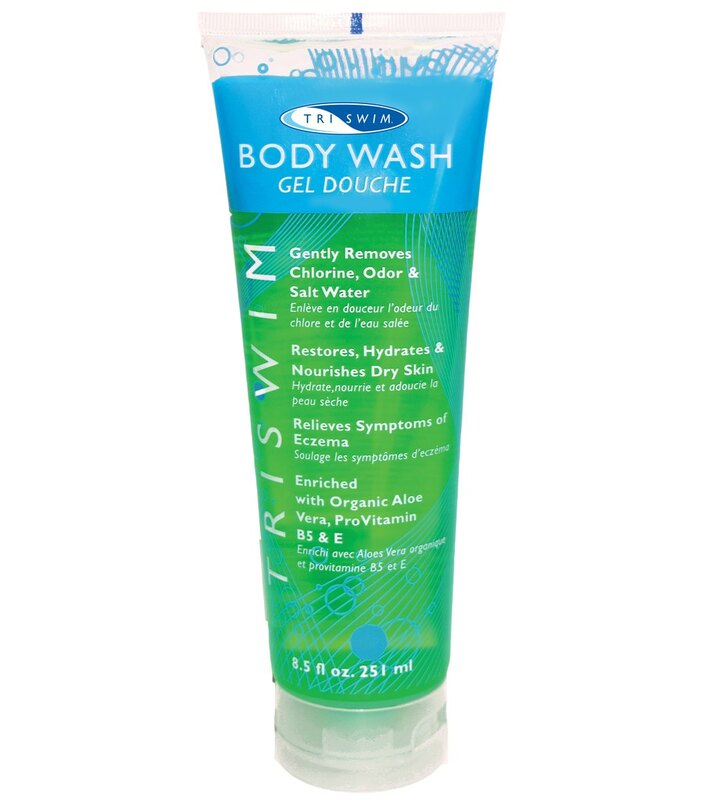 TRISWIM Body Wash is an effective solution to Eczema, dry, and itchy skin irritations. Japanese Yuzu Citrus Scent is appealing to men, women, children, and is considered a "salon rated" product. TRISWIM is the #1 rated Hair & Skin Care product by United States Masters Swimming and is endorsed by the Gold winning Women’s Olympic USA WATER POLO Team!